Oh, goodness, another hunky firefighter. Do we ever get enough of them? Well…NO! Especially when said firefighter is a man that puts God first, and lives out the faith he professes by remaining true to a vow he made as a teenager. I just wanted to swoon. 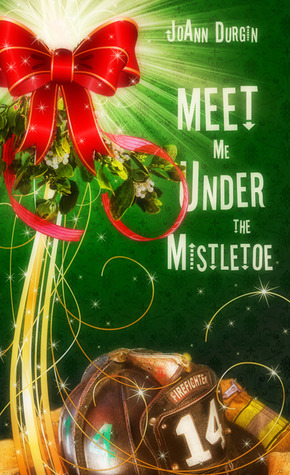 Meet Me Under the Mistletoe didn’t take me long to read because I just couldn’t put it down, and I don’t think you’ll be able to either. Yeah, I know it’s after Christmas and I should be done with the Christmas books, but I love them all year round. Maybe it’s because most people, even in books, tend to love each other more, give of themselves more, and do random acts of kindness. And all of that is included in this story. Jacob Marston, Starlight, Iowa’s hometown hero made a long-ago promise to the Lord: he won’t kiss a woman until he knows she’s “the one.” Now at age twenty-eight, the rugged firefighter questions if it’ll ever happen. 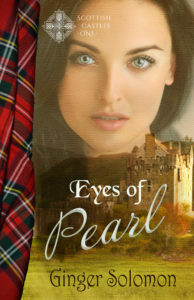 Then, he meets his best friend’s sister, and Jake believes he’s found the woman of his dreams. But what will she think when she discovers his vow? When Julia makes an unexpected confession on Christmas Day, Jake shares his secret with her, and it looks as though happily-ever-after will make a holiday appearance. But somehow, everyone in the tiny town of Starlight learns Jake’s secret, and he’s instantly transformed from town hero to laughingstock. Did Julia reveal his secret? 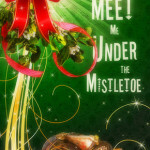 Can Jake forget the humiliation and find his way under the mistletoe to share a forever kiss with Julia? What kind of hero/heroine is your favorite? And what book hooked you into loving him/her? Great review, Ginger! I love Christmas books year round too – for the same reasons. This one sounds wonderful!